I am a sucker for romance and I love girls and that is a terrible combination, because romance has the ability to overwhelm your perspective. 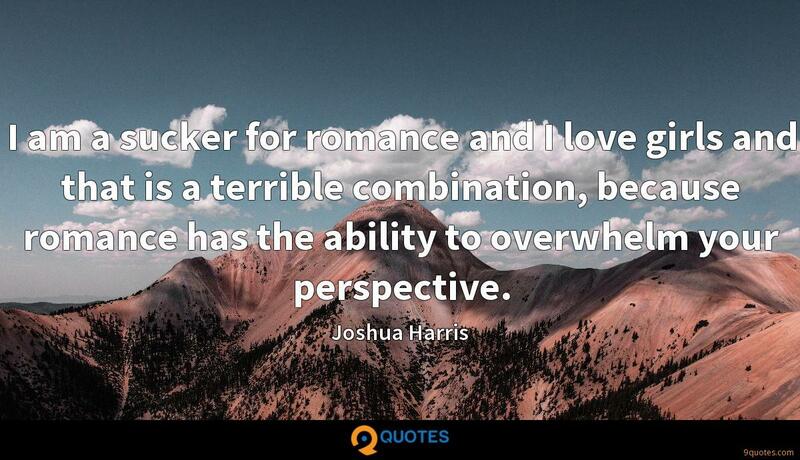 Joshua Harris Quotes. 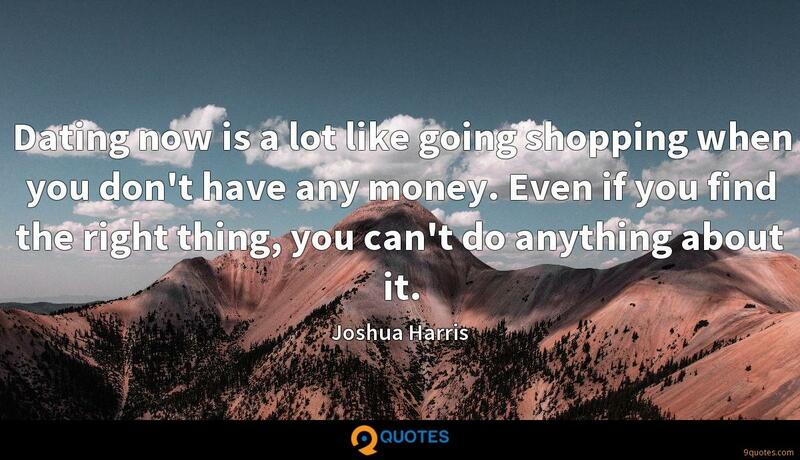 9quotes.com, 2018. http://www.9quotes.com/quote/joshua-harris-280881, accessed 25 April, 2019. 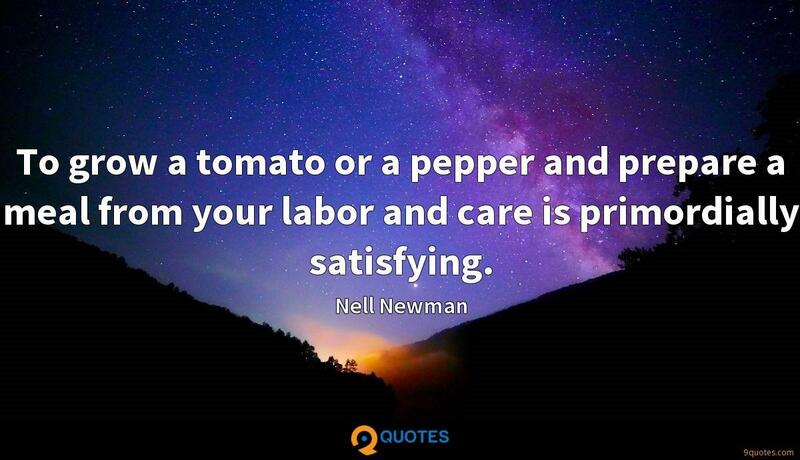 To grow a tomato or a pepper and prepare a meal from your labor and care is primordially satisfying. Find your place on the planet. 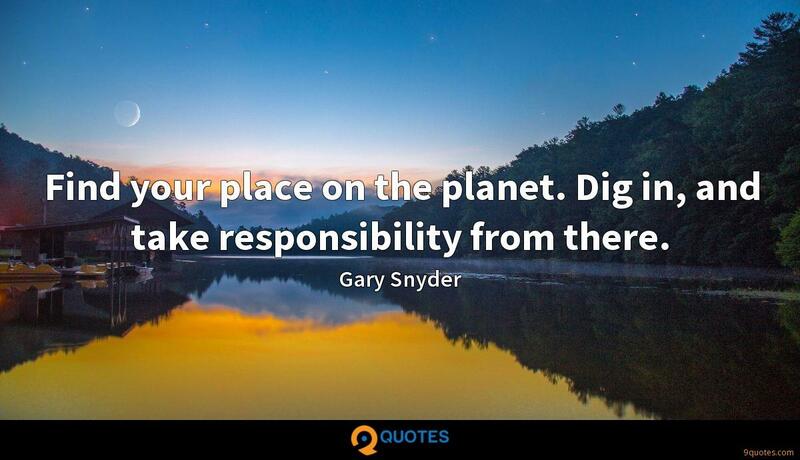 Dig in, and take responsibility from there. Are you ready to have your mind blown? Sometimes Ron Howard uses swear words. God will make right all that is wrong, He will take away the lingering effect of sin and what's not right in our lives. He knows how painful life in this world can be. You get up and you preach a sermon and people walk away thinking what a great guy - and that's a failure as a pastor. Our job is to proclaim Christ. A defining reality for me is what Scripture teaches in Hebrews 12, that God is our father, and that a sign that he loves us is that he disciplines us, he takes us through hardship to build character in us that could not be shaped apart from difficulty. I'm not saying dating is sinful, and I'm not saying a guy and a girl should never spend time alone together. I'm saying let's wait until we can be purposeful, so there's a reason behind our relationship, and we're not just stirring up passion for the sake of a good time.